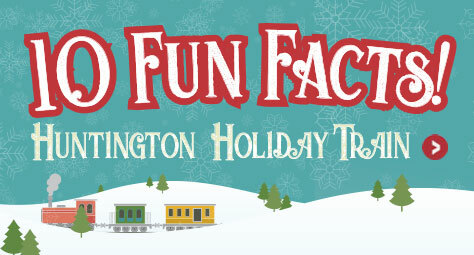 The Huntington Holiday Train has delighted people of all ages since 1992. This downtown holiday treasure was generously loaned to Columbus Metropolitan Library by Huntington in 2009 and is displayed in Main Library's Grand Atrium. Bring your entire family to see the display with its trains, tracks, waterfall, tunnels, bridges, mini homes and castle. On display now through January 2. Check out this video of the train's installation. Free one-hour parking in Main Library’s garage. Main Library | 96 S. Grant Ave.
Friday and Saturday: 9 a.m.-6 p.m.